Last week I received the Calypso Jr. Lightweight folder I ordered. 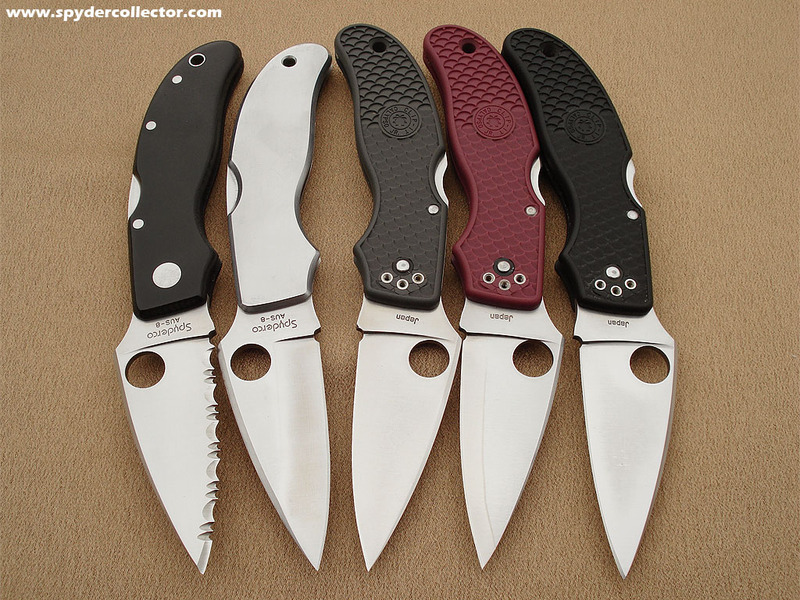 It is made by Spyderco, and is one of the three FRN folders that are particularly lefty friendly. I have seen the ads in the magazines that claim that the Delica, Native an Calypso Jr. are the right knife for left-handed people. I own the Delica and Native as well, these have proven to be outstanding performers for their price and material make-up. I mention materials, because these are ‘simple’ FRN or zytel handled knives. The FRN makes the knife lightweight, comfortable to use, and affordable. My only major complaint with these particular factory folders, is that they lack the personality that comes with a custom folder, or perhaps even with the use of more exotic materials. 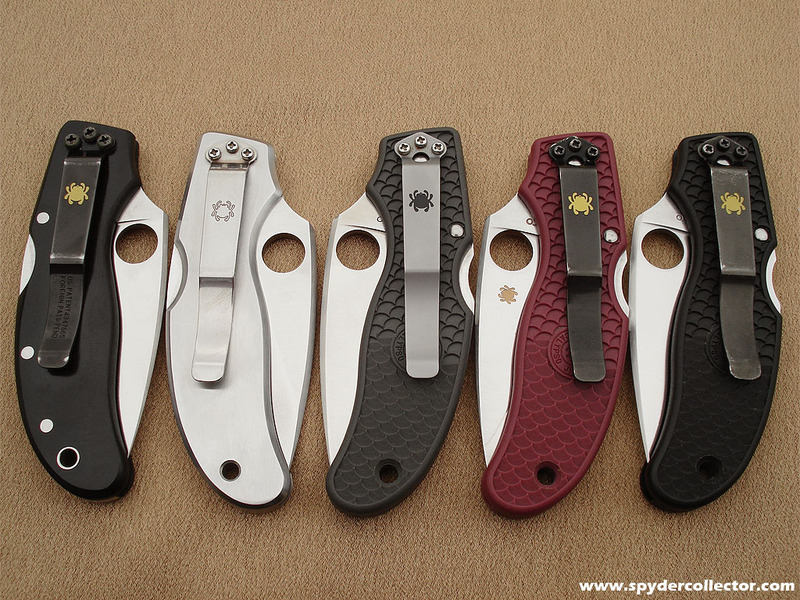 You see, I have the highest regards for Spyderco’s FRN folders for lefty’s like myself. I was attracted to the Calypso Jr., because it looked like a high performance slicer and cutter, with its full flat grind and thin blade. It looked to me, like the ultimate utility folder for a knifeknut. Now that I have the knife, I must say that this is true. The Calypso is extraordinarily sharp. It’s thin edge and full flat grind make it an impressive cutter indeed. The knife also sports a fine point that is very controllable because of the handle design. 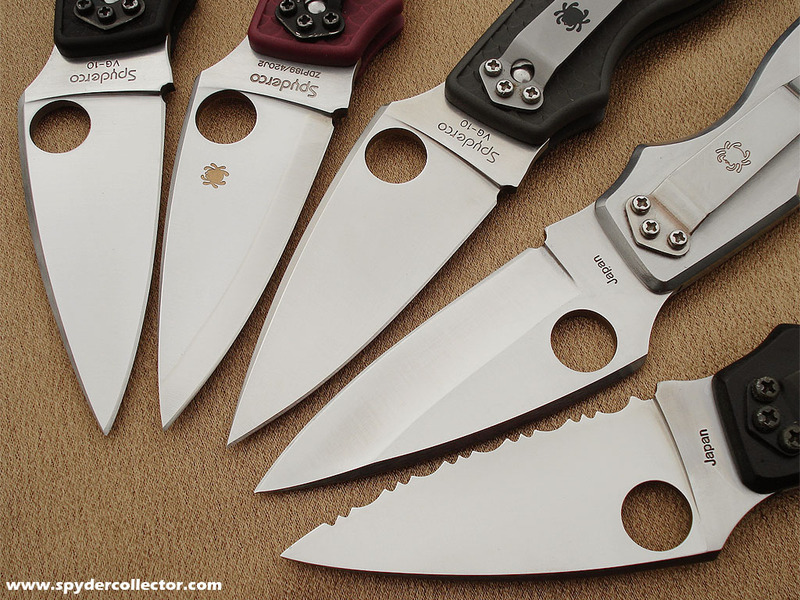 Spyderco’s literature claim that the handle of the Calypso was designed to make it feel like an extension of the hand. I feel that they have succeeded. The lightweight and ergonomic design make the knife literally flow in the hand whilst cutting. This is also my first experience with the Boye dent in the lockback’s locking bar. The lock seems stiffer than in the Delicas and Native I own. The lock does operate smooth, but the rigidity with which it releases inspires more confidence in the lock’s reliability to me, than with my Delica or Native for example. I am not sure if the Boye dent in the locking bar is the sole reason for the added stiffness to the lock, but I remain positive about this addition to the knife. stripped or anything, but I did strip the screw-heads themselves. Maybe it needed more heating up before trying to unscrew them. I find this very remarkable. A knife that is designed and marketed as lefty friendly, should have an easily removable pocket clip. The Delica and Native’s clip screws are of a different design, but they can be easily removed and reassembled. No problem though. As I write this, Spyderco’s excellent customer service have sent me replacement screws for the Calypso Jr. How can you not appreciate that? BTW, the clip features a golden ‘bug’, which adds to the overall appearance of the knife. The Calypso Jr. is a high performing lefty friendly pocket knife, that can pass for a gentleman’s folder. Because of its sharpness and edge geometry, it should satisfy anyone looking for an affordable high performing folder for everyday cutting jobs. It does not appear to be rugged enough to take to the jungle for a survival trek. The Calypso, by design and appearance, should feel right at home in an urban environment. Not considering the price difference, the Calypso Jr. offers slicing performance that leaves my Sebenza worried ;-). If you’re looking for that affordable yet ‘ultimate’ medium sized utility folder for everyday tasks, the Calypso Jr. lightweight should please you. My only complaint and plea to Spyderco, please put some of these excellent characteristics in a more up-market model. Like a left-handed Chinese folder? I realize that the left-handed market is small, but I sure would like something like a lefty friendly Chinese Folder. Excellent cutting performance in a fancy package. Your current models for the left-handed are much appreciated, now I want more!!!! This entry was posted on Tuesday, June 12th, 2001 at 8:12 pm and is filed under Collectibles. You can follow any responses to this entry through the RSS 2.0 feed. You can leave a response, or trackback from your own site.